I wasn’t posting it but on sharing it with a friend I changed my decision. I was also suggested to title it Oxygen.Hence the title. 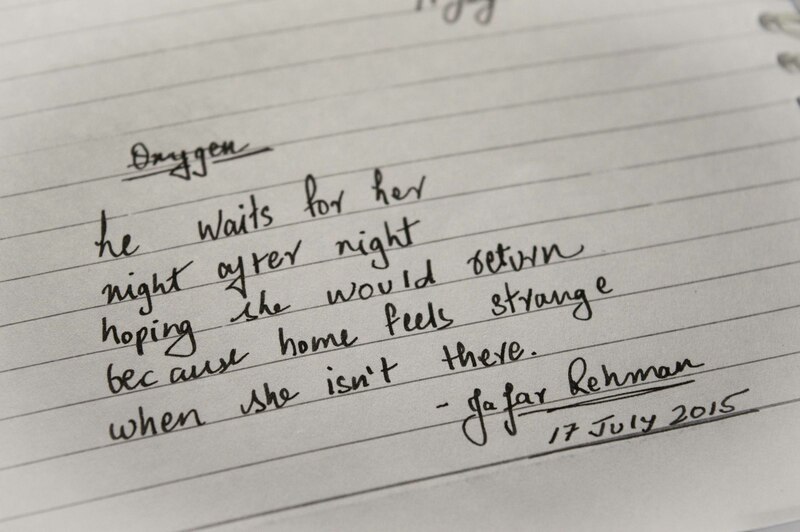 Haha,my writing tends to attract more attention than my poetry. Both are beautiful, thus the extra attraction! Yeah I saw it…Beautiful calligraphy! I saw the notif late. Considering your ‘writing tends to attract more attention than my poetry’, I’ll say brilliantly written! For the poetry 😉 Short and sweet! Well,writing(calligraphy) is one of the passions I have. I am glad you liked both poetry and writing as well.